With Russia flexing its muscle in neighbouring Ukraine, Poland is stepping up its efforts to become less dependent on Russian gas imports. The Polish government is looking to incentivise the shale gas industry with the promise of a tax breaks until 2020. 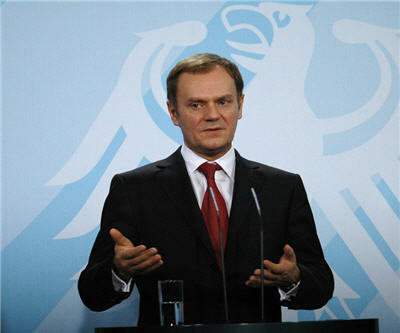 "Today gas security is a fundamental prerequisite of sovereignty of every European country, including Poland," Prime Minister Donald Tusk said, as reported by the Wall Street Journal. Tusk also introduced a draft law to speed up and simplify the licensing procedure. Poland depends on Russia for 60% of its natural gas. Coal makes up 55% of Poland's energy consumption, according the US Energy Information Administration. Natural gas accounts for 15%, oil 26% and renewables the remainder. But Russia also depends on Poland to deliver its product to Western Europe. Natural gas from Siberia flows through Poland in the Yamal pipeline to get to Germany. One section of Druzhba, the longest oil pipeline in the world, also crosses Poland. There is currently no commercial production of shale gas in Europe but the UK and Poland look poised to become the first producers.